Made in a Sig-Sauer owned facility right here in the United States, this ammunition delivers the precision you expect from your Sig-Sauer firearm manufactured into your ammunition. 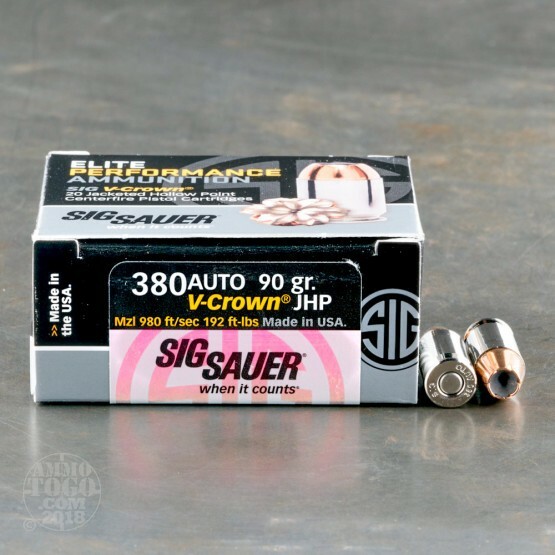 These impressive self-defense cartridges arebuilt to be ultra reliable and accurate. 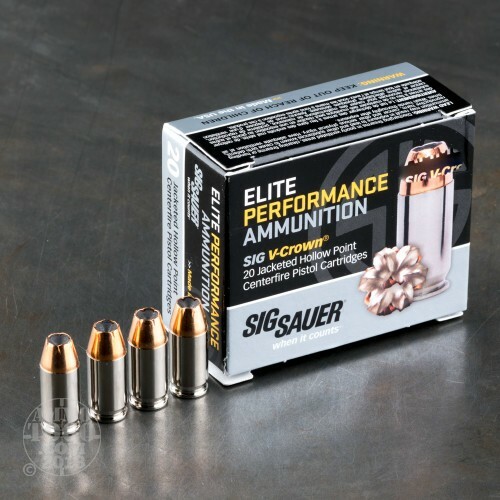 Using only the finest components and combining them with SIG Sauer's exacting standards and innovative manufacturing processes, you can rest assured this ammunition is the very best SIG Sauer has to offer. 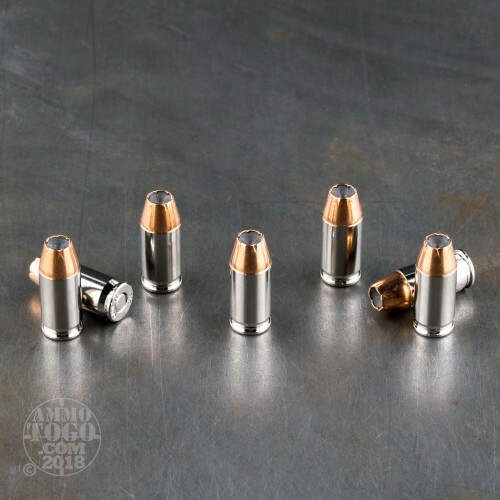 Loaded with a 690 grain V-Crown jacketed hollow point projectile, each round delivers reliable accuracy and massive terminal expansion for an impressive wound channel. The unique V-Crown bullet design creates a consistent V-shaped main cavity layered on a deep narrow trail. The result is superior weight retention, maximum expansion, and optimal penetration depth. This new production ammunition features low flash propellants, boxer primers, and non-magnetic, non-corrosive nickel-plated brass casings. Each round produces a muzzle velocity of 980 feet per second and a muzzle energy of 192 foot pounds. 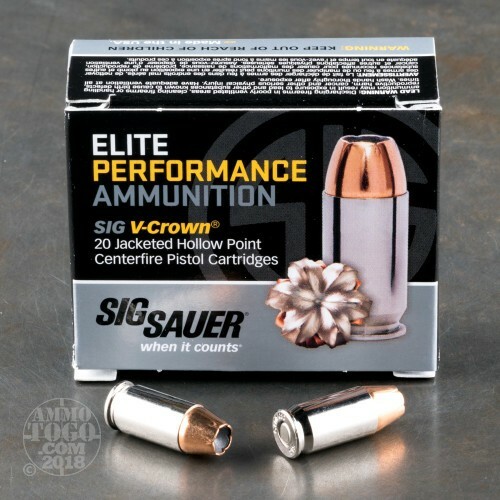 This package contains 20 rounds of .380 ACP SIG Sauer Elite Performance ammunition perfect for personal protection and concealed carry.